No time for gymnasium? With this foldable and easily operated treadmill, yourhome is your gymnasium. The folded size is about 9" x23" x51"(Lx W x H), a good choice for a small room. It is brief design but involved allbasic function, a quite cost-effective product. If you are looking for the bestdeal, Gymax is the best for you. 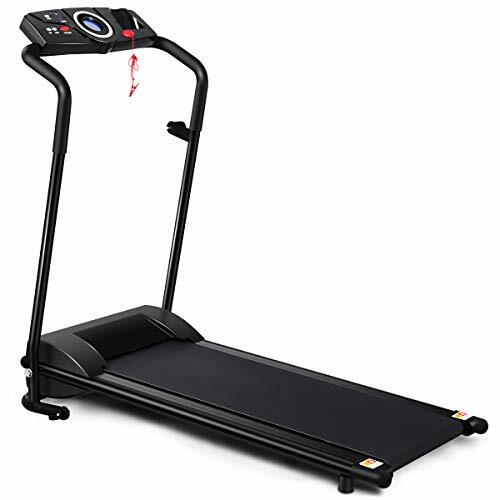 38"L x14"W running belt provides you more comfortable and more sturdyworkout experience. Safety Key connect you and the machine, the machine will stop working in caseof emergency. 9" x23" x51" (L x W x H) folded machine can be stored near theshelf or under the bed . ?Quite Running? Our treadmill uses a powerful silent motor with a top speed of 6.5MPH. Even at running at such a speed, the noise is within acceptable limits and it will not disturb your neighbors and people downstairs. You are free to choose running time, which helps you save time. ?Space Saving? 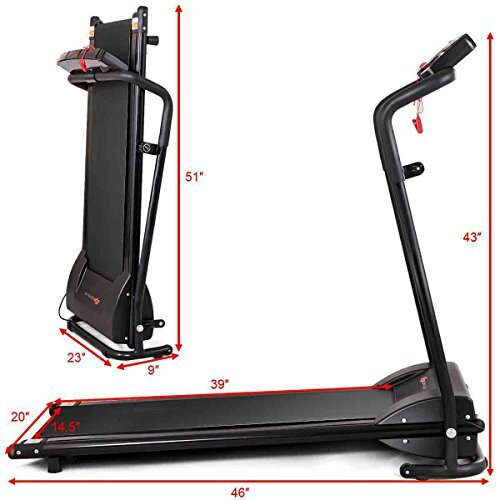 The treadmill size is 46" x20" x43"(L x W x H). It can be folded to 9" x23" x51"(L x W x H) for easy storage, saving much space for you. You can put it beside the wall, after folding it takes up little space, and you will have more space to walk. If you live in a small apartment, this treadmill is perfect for you. ?Stylish Round Monitor?The middle round monitor shows the running speed, time, calories burned, and running distance. 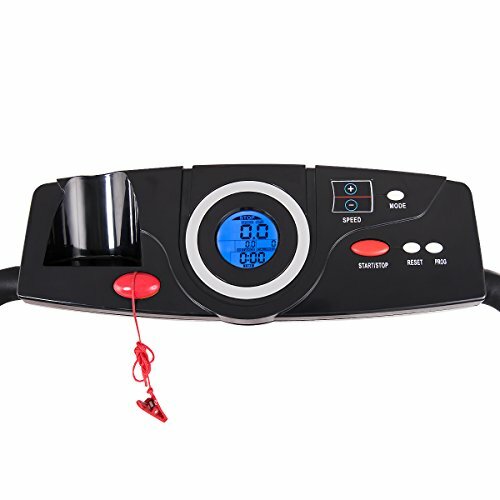 The operation panel also comes with buttons of running mode(Auto mode and manual mode), programs(12 built-in workout programs), speed adjustment, and reset button etc. The use of a security key allows you to run more safely without injury. 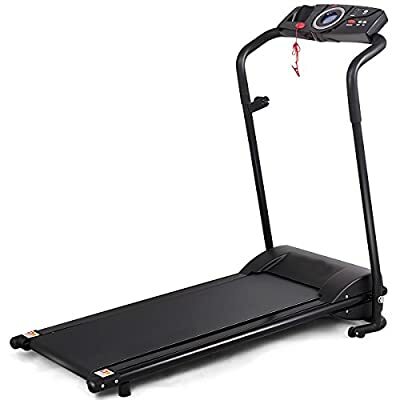 ?Non-Slip Shock Absorption Running Belt?This treadmill has a solid steel frame structure, using high-quality non-slip shock absorption running belts, which can effectively reduce the impact of in running and protect your knees. ?Excellent Service?No worry about any quality issues, our company provide professional service for you. If you have any quality problems, you can contact us, we will be responsible.